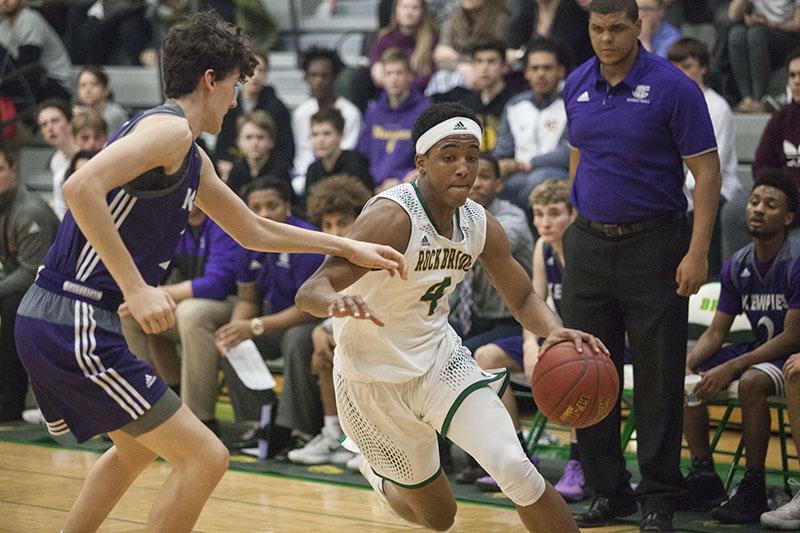 With another postseason performance for the books, the boys’ basketball team defeated Parkview High School (60-51) in a close game, securing their position in Missouri’s Final Four in the state tournament. The Bruins were coming off of a tough game against Willard in which RBHS had difficulty finding an offensive rhythm. Senior forward Devin Bernskoetter said the team examined their shortcomings in practice, while looking to compete against Parkview’s roster. The first half of the matchup saw a series of ties, lead changes and an (8-0) offensive run from RBHS in the second quarter. That run gave the Bruins a slim 30-29 lead at halftime. Junior guard Ja’Monta Black went off for 22 points, leading the Bruins in scoring. The second half was barely different; by the end of the third quarter, RBHS maintained a relatively slim lead against Parkview, whose scoring kept the game nearly tied. The deciding moment of the game, however, occurred in the final minute of play. With 1:37 left on the clock, and the Bruins leading (51-49), RBHS went on a scoring frenzy while playing airtight defense against Parkview. The Bruins’ efforts came to fruition in the form of nine straight points, which left RBHS with a certain last-minute victory. The Bruins will compete against Chaminade [28-3], currently the best team in the state of Missouri on Thursday, March 15 in the state semifinal game. Historically, Chaminade has been a tough matchup for teams across the state, winning a state championship under the lead of current NBA rookie Jayson Tatum two seasons ago. Even with the pressure of championship competition, Black knows the Bruins are ready to give it their all. “Mentally, we just need to lock in, keep our eyes on the prize, and get ready to compete for this ring,” Black said. Will the Bruins advance to the state championship? Leave your predictions in the comments below.